I’m Amy Parachnowitsch. 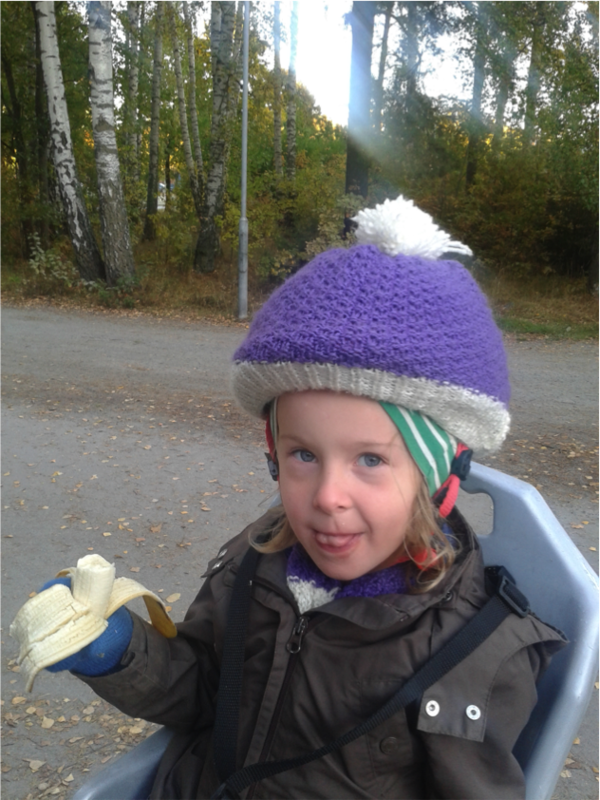 I currently work at Uppsala University as a non-tenured assistant professor (lab link here). UU is a big research university but in a sense I too am a small fish in a big pond. I have a small lab (just me and my graduate student) and in two years, I’ll need to either find funding for my position or move on. Although I currently have a light teaching load, I’m passionate about teaching. It is part of the reason I starting following this blog and why I think it is a good home to share many of my thoughts. My research focuses on evolutionary ecology of plant-animal interactions, mainly from the plants perspective. I study flowers and although there are lots of really great scientific reasons to do so (incredible diversity, interesting communication, conflicting interests of the players…), I’ll be the first to admit that I study flowers because I find them beautiful. It certainly helps me appreciate long field days measuring hundreds to thousands of flowers. Originally from Nova Scotia, I grew up surrounded by nature. Our parents kicked my brother and I out of the house in all kinds of weather, so we spent ages playing in the woods, fields, ponds and streams that surrounded the various houses we lived in. When I was about 10, I wrote for a school report “I want to work with animals and plants when I grow up”. So in some ways becoming an evolutionary ecologist that studies plant-animal interactions seems like an inevitable course of events. It only seems that way in retrospect and I certainly didn’t take a direct path. 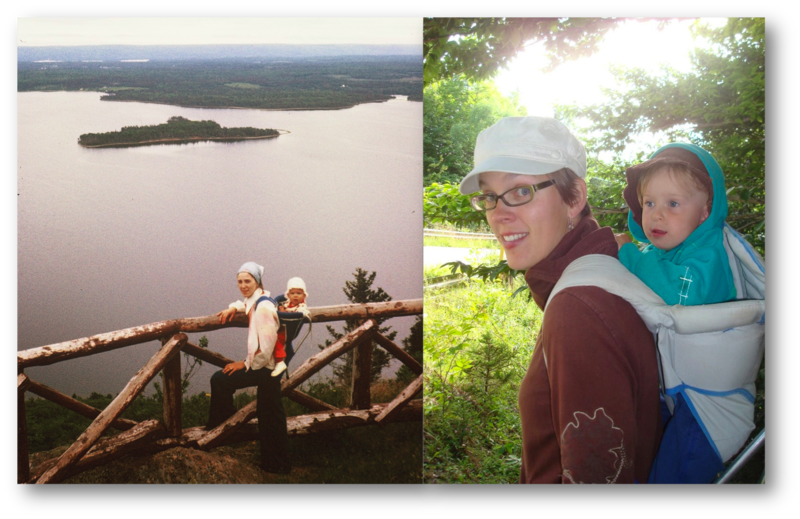 Full circle: my mother hiking with me in the 70s and me with my daughter ~30 yrs later. I crossed the country for my undergraduate to British Columbia (Simon Fraser University) and was headed to a career in some sort of health profession, so I thought. After fumbling around (quitting after a semester, working, going back to school…), I didn’t really settle on doing research until nearly the end of my extended part-time undergraduate degree. I have a double major in psychology because I thought I was going to work with people. That got me interested in animal behaviour that eventually led to my fascination with plant behaviour. And here I am. The stops along the way have been a masters at University of Guelph in Ontario, a PhD at Cornell in upstate New York. I’ve written more about my moves and what I’ve gained from the experiences here. When I’m not doing science, I’m often spending time with my 4 year old daughter. She is completely hilarious and exhausting all at the same time. Otherwise I try to knit on occasion (knitters, you can find my mostly neglected profile: aparachn on ravelry), get outside, travel, and read sci-fi/fantasy when I have the chance. is it possible to place a text link advertisement at homepage or inner pages of your website? I have several education-related websites. Yours is a site which would directly help students visiting us. So, wanted to be in long-term business with you. Let me know your desired price. Waiting for your soon reply. Hi! My name is Mireilla Rivera and I am unsure of who will get this message but I was hoping someone could give me some guidance. I am a freshman in college and have an idea to help stop global warming. The problem is I don’t know how to get started or get the help I need. It deals with various fields in science a 1 of them dealing with plants, and I stumbled across your website on my search. I read that Amy was in to plants and animals interactions. Now of course my idea may not be into your field of study but if you could please point me in to the right direction would a lot of help. Thank you for your time and I’m sorry if my grammar is wrong. You can contact me by email at Mire7991@gmail.com.